The Guardian newspaper and the BBC reported on August 26th that “up to five million people in the UK are at risk of developing type – 2 diabetes according ti new data from Public Health England.” The article goes on to say that according to the NHS, type – 2 diabetes is closely linked to diet and obesity and affects about 3.2 million people across the UK. Evidently, the NHS is preparing to roll out a diet, weight loss and exercise program in order to help people reduce the risk of getting type – 2 diabetes. A spokesperson for the NHS stated in regards to living healthier lifestyle that “it’s hard to do it alone.” One to one support with counseling and hypnotherapy can help a person lead a healthier life and thus reduce the possibility of getting type – 2 diabetes, but also to help reduce the possibility of acquiring several other disorders that arise from excessive weight and obesity. 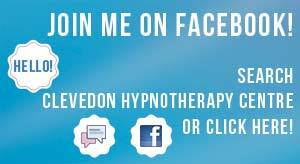 Hypnotherapy really can help.